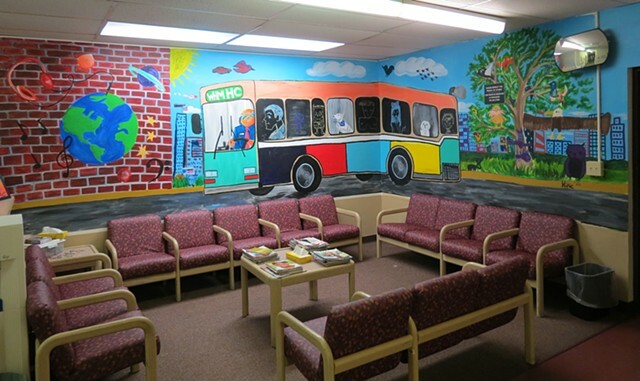 This interactive & Collaborative Acrylic Wall Mural is installed in the waiting room of the West Haven Mental Health Clinic. The windows of the bus are painted with chalk paint which encourages all people in the waiting room to draw or sketch someone on the bus. This mural was a collaborative project with a previous art group and various children who volunteered their time and efforts to creating this mural.